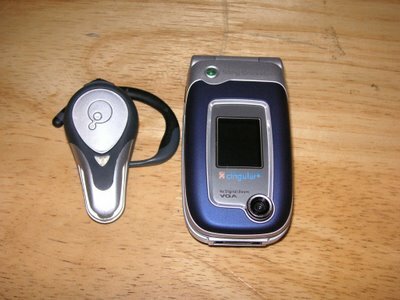 My new Sony Ericsson Z520a arrived yesterday. Flipped open, sitting next to my Bluetooth headset. The Z520a is slight smaller and lighter than my previous phone, the Motorola V551. And the best part? I can finally keep my Bluetooth headset "attached" and not be forced to have to hear the same, boring ringtone when I receive a call! Gee, what a novel idea. Stupid Motorola phones. 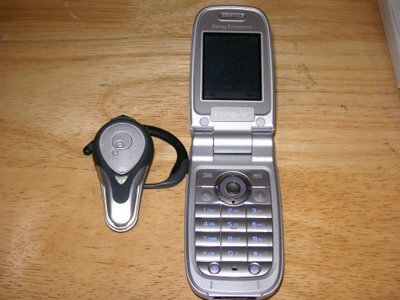 The Sony Ericsson phone has a better phone book management, too. No longer do I have to keep multiple entries with the same name simply because I have multiple numbers for the same person. 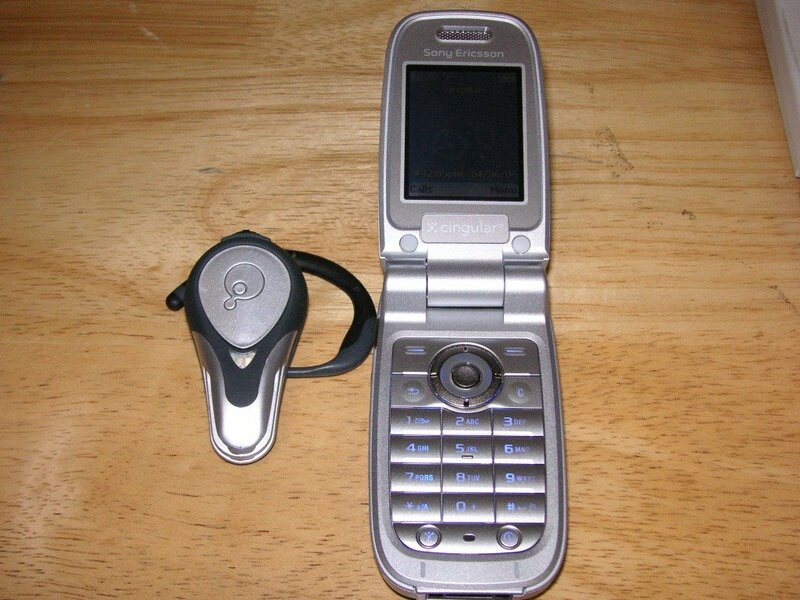 The Samsung phone I had before I got the Motorola could do this, too. However, the Samsung was lacking in that I was not able to assign individual ringtones. Instead, I had to assign people to different groups, and assign ringtones to each group. So the Ericsson has the best of both worlds, in terms of phone book ability. So far, the phone's been doing quite well. I don't expect that the battery will last very long, since it's got two color screens, plus I'm keeping my Bluetooth headset connected at all times. We'll see.